From an early stage the Scholars had a ‘library’ of books in common; a manuscript bequeathed before May 1276 is still with us. The collections of manuscripts and books have continued to grow by gift, bequest, and purchase. We serve both the Balliol community of undergraduates, graduates, and Fellows, and the worldwide scholarly community who come to study our special collections of early printed books and early and modern manuscripts. Our manuscripts and earliest books are now housed at the Historic Collections Centre in St. Cross Church, next to Holywell Manor. A library is a collection of volumes, and not just the buildings they are contained in. Although books for the scholars to read are not mentioned in Dervorguilla’s Statutes of 1282, and no documents survive relating to Balliol Library in the medieval period except a few wills, surviving volumes show that the scholars began early to collect books. By May 1276 a standard university text, Boethius De musica (MS 317), had been left to the College by Peter de Cossington. A number of the medieval manuscripts still in the Library were given in the first forty years of the 14th century: a valuable collection was building up. Not only were they essential reading for the scholars; they represented capital in portable and negotiable form, and could be ‘pledged’ or pawned to the University if the College needed ready money. The first mention of the common ownership of books by the scholars is in the gift by Sir William Felton in 1343. The volumes, when not in pawn or on loan to individual Fellows, would have been kept at first in a chest. Gifts and bequests continued; inventory marks in surviving manuscripts show that by c.1385 the College owned an absolute minimum of 155 volumes. Contemporary inscriptions in volumes bequeathed by William Rede, Bishop of Chichester, in 1385 suggest that by then there was some kind of library room with chained books. The 15th century saw the first Library building, with chambers beneath, between the Hall and the Chapel, on the north side of the quadrangle. The bays nearest the Hall were credited to Thomas Chace, built by 1431; the west end may have been nearing completion by 1423, when a sometime Fellow, Roger Whelpdale made his will, leaving the College six books and money to provide a set of Library keys for the Fellows. The books will have been stored on their sides on the double sided sloping lectern desks projecting from the walls between the windows, or on shelves underneath, chained to a bar running the length of the desk. The marks of the staples holding the chains to the book are still visible on many manuscripts. The Library was extended eastward by Robert Abdy (Master c.1475-83), to accommodate the collection of books of William Gray, Bishop of Ely, who died in 1478. Nearly two hundred manuscripts of his, and one printed book, are still in the Library: more than half the surviving library of medieval Balliol. R.W.Hunt declares (VCH Oxfordshire iii 82) that Gray’s is by far the finest, as well as the largest, private collection to survive in England from the Middle Ages’. Gray, a member of a distinguished family, came up to Balliol c.1431. He was Chancellor of the University c.1440-41, and had an impressive diplomatic and clerical career, becoming Bishop of Ely in 1454. He collected manuscripts, and had texts copied for him, all his life. He seems to have formed the idea of a scholar’s library, suitable for a learned institution devoted to philosophy and theology. The wide range and high standard of his original texts in philosophy and theology is impressive. To these he added Greek Fathers in translation, some classical authors (Cicero, Virgil, Quintilian), some modern (Petrarch’s letters, Guarino, Gasparino Barzizza), and a few humanist translations of short pieces from the Greek. Two other Fellows, Gray’s associates, Nicholas Saxton and Richard Bole, also gave manuscripts at this time, as did Robert Abdy himself. Early in the 16th century new statutes were drawn up by Bishop Fox. Under them, the Senior Dean has charge of the Library; his duty is to see that no stranger enters it unaccompanied by the Master or a Fellow; that silence and order are preserved among the readers, and that books are properly treated and kept in their places. The books, still predominantly manuscripts, were still chained to the medieval lecterns. The Library vegetated in the early years; the development of the collections failed to keep pace with extraordinarily rapid developments in learning and book production. The College relied on gifts long after they became an unsatisfactory means of maintaining a good stock of up-to-date books. During the middle years the Library was the part of the College which suffered most. The Protestant reformers under Edward VI purged ‘superstitious’ works in c.1553: something like a third of the manuscripts were thrown out. More are said to have been sold by Robert Persons while a Fellow c. 1572, in order to restock the Library with works of reformed theology; this would have been during his Calvinist phase before he became a Jesuit missionary. However, there is no solid foundation for this story. The 16th century saw the transition from manuscript to print in book production, and acquisitions are now mainly of printed books: some gifts of patristics, all probably in Latin, in editions of the 1530s and 40s, are recorded in the later Donors’ Register. 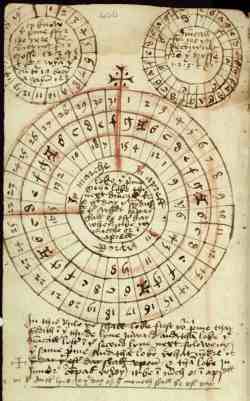 However, the manuscripts were on the whole retained, rather than being discarded in favour of printed texts. As a poor College with a large Library building and a manuscript collection of above average quality, Balliol had less motive to discard and more motive to preserve than wealthier colleges. Records of Library expenditure begin in c.1572; however, not a single book purchase is recorded in this period, although Library maintenance (cleaning, chains, binding, locks) does appear. From the latter part of the century onwards the custom, as elsewhere in Oxford, was for members of the College to present a book or books on admission or graduation and many survive, appropriately inscribed or with a printed label; such gifts were nearly always concerned with the subjects currently taught. In c.1630 a Donors’ Register was started. The first large benefaction of printed books was the library of Sir Thomas Wendy (1613-73), over 2000 volumes, with many books outside the ordinary run, which came to the College in 1677, immediately increasing the Library’s size by a third. Anthony Wood “History and Antiquities of the University of Oxford ii (1796), 98” says ‘by which addition, consisting chiefly of choice books, this Library is accounted one of the best in Oxon.’ Extensive work was needed to accommodate the books, a special shipment of chains being ordered for them. The sudden expansion seems to have stimulated a general reorganisation, with the writing of catalogues, and the initiations of an active purchasing policy. Previously the Bursars’ accounts are completely lacking in records of book purchases, though the Library subscribed to the Philosophical Transactions of the Royal Society from the first issue. From c. 1680 irregular expenditure on books can be traced. From 1694 separate Library accounts were kept, by the Senior Dean, who collected fees on graduation, and spent the money on binding, chains and books. From 1696 a benefaction provided £4 p.a. for the payment of an ‘under-librarian’; from now on many of the tasks associated with an expanding Library were undertaken by paid undergraduates. At some time between 1634 and 1698 the medieval lecterns were removed, and shelving introduced, though books, printed and manuscript, were still chained. Nicholas Crouch, Fellow 1641-89, bequeathed such books as the College cared to select from his library; most were apparently taken. His was a scholar’s working library with an appendage of tract volumes on all kinds of topics containing many scarce works. Crouch had a habit of noting on the flyleaves of his bound volumes of tracts the price paid for each tract and the cost of binding, occasionally giving names. An unusual documentary survival is a record of books borrowed 1693-1706 in the back of a partial catalogue. The early 18th century saw another bequest of an academic collection: from Roger Mander, Master 1687-1704. The bindings of many manuscripts seem to have been in poor condition by this time. Between 1724-7 a wholesale campaign of rebinding was carried out at a cost of nearly £50 by Ned Doe. He was carrying on the family business: the widow Doe had been paid for binding in 1694. The uniform cheap rough calf which replaced almost all the medieval bindings is ugly, and the animal glue with which the spines are stuck has often cracked. Gifts of manuscripts continued; George Coningesby, a Herefordshire antiquary who died in 1768, left a 12th century Herefordshire Domesday book, St Guthlac’s Cartulary, and a Welsh commonplace book by Sir John Prise among other manuscripts, and a large collection of printed books. However two Fellows and friends of Coningesby, Joseph Sanford and Charles Godwyn, left their books to Exeter College and the University respectively. A small collection of oriental manuscripts was given c.1790. The end of the century saw major changes. The last chaining recorded in the Library accounts falls in 1767-8, and the chains seem to have been sold for scrap in 1791-2. The College was in a bad way at this time; the buildings were in extreme disrepair and the College was in debt. Extensive repairs and alterations were supervised by James Wyatt in 1791-4: among these were new roofs, with battlements, for the Hall and Library, and a new plaster vault, plaster walls and bookcases for the Library. Under John Parsons, elected Master in 1798, the Library was refurbished and reorganised, with the imposition of tight discipline, and increased fees; Parsons generally tightened up the academic arrangements in Balliol, and was a prime mover in developing what became the modern university examination system. The first twenty years of the 19th century saw a return to solvency, and the opening of most Fellowships to open competition, which helped the academic development of the College. In 1827 Scholarships were opened to general competition by examination. In accordance with this promotion of academic excellence, use of the Library was permitted to undergraduates, under strict conditions, in 1837. In 1852 the Royal Commission declared Balliol the most distinguished College in Oxford. At about this time Richard Hill’s early 16th century Commonplace book (MS 354), the source of many English carols and one of Balliol’s most important manuscripts, was discovered in the Library. No further large benefactions came until 1863, when Henry Norris gave the large theological library formed by H.H. Norris (d.1853). Much of this was later sold. A major development came under Benjamin Jowett, Master 1870-1893, but of influence from an earlier period. In 1871 Jowett re-established the Undergraduates’ Library. At first books were provided in a Lecture Room, but when the new Hall was built (1877), the old Hall was converted into a reading room. Books from the main Library, selected as being of use to undergraduates, were added to the Undergraduates’ collection. New Library rules were drawn up, and a Library Committee established. Jowett used the need for junior assistant librarians to bring poor but promising lads into the higher education system by seeing that they were prepared for a University course, along with their Library work. In 1871 the first printed Catalogue of the Printed Books in Balliol College Library was published. This was the basis of the guard book catalogue still available in the Library: a copy of the Catalogue was cut up, and the entries pasted in guard books, to which additions were made until 1963. Balliol absorbed New Inn Hall in 1887, including the remnant of their Library, mainly 18th century law books. Gifts and bequests came from distinguished alumni. Arnold Toynbee’s books were given on his death in 1883. Jowett’s own library and papers were left to the College. The original manuscripts of most of the later poems of Robert Browning, the first Honorary Fellow (1867) came to the Library according to his wish after his death in 1889. The original autograph text of Byron’s The Monk of Athos was given in 1897 by H.S. McCalmont Hill. Further gifts were papers and/or letters by members of the College: Matthew Arnold, A.C. Swinburne, A.H. Clough, T.H Green, A.P. Stanley, and J.W.Mackail. Letters from John Ruskin were bequeathed by F.F. Urquhart (died 1934) who also gave the papers of his father David Urquhart (1805-1877). Letters written to George Eliot on the death of G.H.Lewes and letters to Claude Montefiore were given by Leonard Montefiore in 1939. Other major collections received in the 20th century include the Connroy family papers including those of Sir John Conroy, Bart. (1786-1854), comptroller to the Duchess of Kent, mother of Queen Victoria; papers of the family of Richard Jenkyns (Master 1819-540); the papers of Sir Robert Morier the diplomatist (1826-1893) and other members of the Morier family; letters from members of the Arnold family; and the diaries of Sir Harold Nicolson (1886-1968). The papers of the Mallet family were placed on deposit. Printed books were also given to the Library, notably the working collection of Sir Maurice Powicke (1879-1963) the medieval historian. Since 1921 gifts, especially books written by Balliol members, e.g. Graham Greene and Anthony Powell, have been listed each year in the Balliol College Record. In 1928 more than 3,000 theological works, printed after 1600, were discarded; about 1,000 went to the Bodleian and the remainder were sold. During the second World War the Library building and the greater part of the west side of the Garden Quad were occupied by the Royal Institute of International Affairs (Chatham House), which prepared reports on events in enemy controlled and neutral countries. A major change occurred in 1959, when a mezzanine floor was inserted in the old Hall, creating a reading room on the same level as the Old Library, with a ground floor containing a library office and book stacks, and a basement of book stacks. A card catalogue for new books was started in 1963. A special Law Library had been set up in the Russell Room on staircase 16; in 1967 it was named the Tylor Library in honour of Sir Theodore (‘Theo’) Tylor, a famous blind law Tutor and chess player who retired in that year. The Law Library was transferred in 2000 to the rooms formerly occupied by the historian Maurice Keen on the Library staircase. A joint Balliol-Trinity science Library, which had continued after the Balliol-Trinity laboratory was closed, and had been housed in what is now the Music Room on the north east border of the College, was split in 1974 and the Balliol books transferred to the Old Library. The manuscripts and early printed books were removed from the Old Library to a secure Annex, and the Old Library transferred entirely to undergraduate use. A very different change came in 1989, when ‘library automation’ arrived in Balliol, and a new online catalogue was started for current acquisitions. Older books are gradually being catalogued on it; all open-shelf material was catalogued online by 2000, when borrowing was automated. Several computers are available in the Library for access to online catalogues and to databases, online periodicals and the Internet. Ethernet points have been installed in all reading rooms, and readers now bring in their own computers. This history is based upon: John Jones: Balliol College, A History (2nd ed.) Oxford: OUP, 1997; R.A.B Mynors: Catalogue of the Manuscripts of Balliol College Oxford Oxford: Clarendon Press, 1963; Paul Morgan: Oxford Libraries outside the Bodleian (2nd ed.) Oxford: Bodleian Library, 1980; Anthony Kenny: ‘Reform and Reaction in Elizabethan Balliol’ in Balliol Studies, ed. John Prest, London: Leopards Head Press, 1982; The History of the University of Oxford, ed. T.H. Ashton et al, Oxford: Clarendon Press, 1984-2000; R.W. Hunt and R.H.C. Davis ‘Balliol College’ in The Victoria History of the County of Oxford, iii The University of Oxford ed. H.E. Salter and M.D. Lobel, London: Institute of Historical Research, 1954. The bulk of our collections of books on the history of Balliol and its members have now been transferred to the Historic Collections Centre at St Cross. Readers are welcome to make an appointment by email to consult this material (archivist@balliol.ox.ac.uk). A particularly valuable resource is a collection of members’ biographies and autobiographies, shelved chronologically by year of admission. 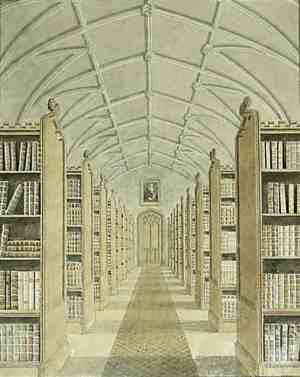 There is also important material for the history of the College in several Library collections, notably in the Jowett holdings, the Jenkyns Papers (which include the papers of Richard Jenkyns, Master 1819–1854, previously a Fellow), the Conroy Papers (which include the papers of Sir John Conroy FRS 3rd Bart, Fellow died 1900), the papers of JL Strachan Davidson (Master 1908–1916, previously a Fellow), the papers of AL Smith (Master 1916–1924, also previously a Fellow), and so on. The College Archives contain all that survives by way of institutional (including estates) and membership records: email enquiries to archivist@balliol.ox.ac.uk.